In today’s rumor rundown, the Montreal Canadiens would like to make some improvements but aren’t prepared to bet the future to do it. 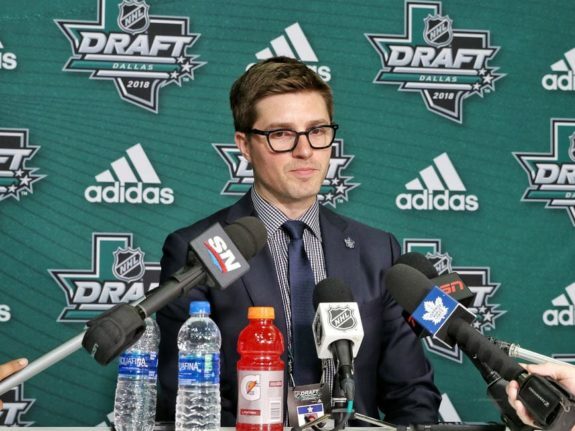 Meanwhile, Maple Leafs GM Kyle Dubas is heading to Russia to check out some of the talents there. In San Jose, the Sharks are worried about their goaltending and there is some speculation the team might look to the trade market to shore up that issue. Finally, Doug Armstrong is not happy in St. Louis and big changes are expected. Sportsnet’s Eric Engels reports that Montreal Canadiens general manager Marc Bergevin doesn’t intend to be busy in the rental market leading up to the Feb. 25 trade deadline. The idea is that Bergevin is not prepared to part with future assets for a short-term addition that may or may not make the team Stanley Cup contenders. “Again, if there’s a young player available and there’s assets that need to go [to acquire that player], I get it. But I don’t think I’ll be in the rental business, ” said Bergevin. 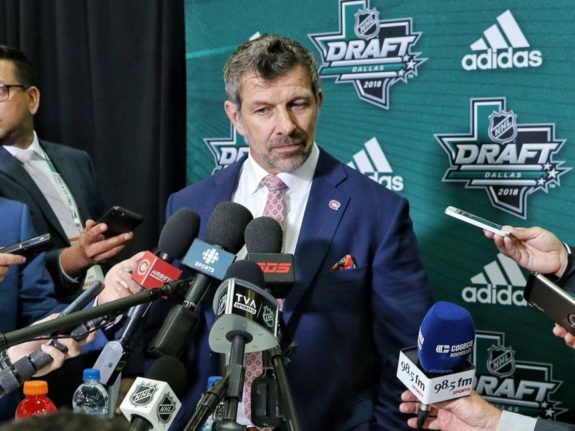 In fact, Bergevin may go the opposite direction at the deadline and look to move out veterans for futures and prospects in an attempt to improve the long-term future for the franchise. Basically, if there is a good player to be had at the deadline but it will require a first-round pick to acquire him, don’t expect the Canadiens to be involved. While Dubas has said he’s not going to be a heavy player in the rental market prior to the NHL Trade Deadline, he didn’t say he wouldn’t look internationally at players that could help his team moving forward. Pierre LeBrun tweeted that is in Russia the week watching some teams who have potential free agents, as well as some of their own prospects. Darren Dreger added that “KHL centerman, Sergei Andronov is a player of interest to the Leafs.” Dreger noted that a number of NHL teams are interested in Andronov and Toronto might be squeezed out of the negotiations based on cost. If Andronov is going to cost $1.5 to $2 million next season, Toronto likely can’t go there based on the cap issues the team will have when this season ends. Alternatives for Dubas might be Yegor Korshkov, Alexander Yelesin, or Artyom Blazhiyevsky. Sharks Looking for a Goalie? While Erik Karlsson has really come on in San Jose of late, the goaltender situation for the Sharks is troubling. 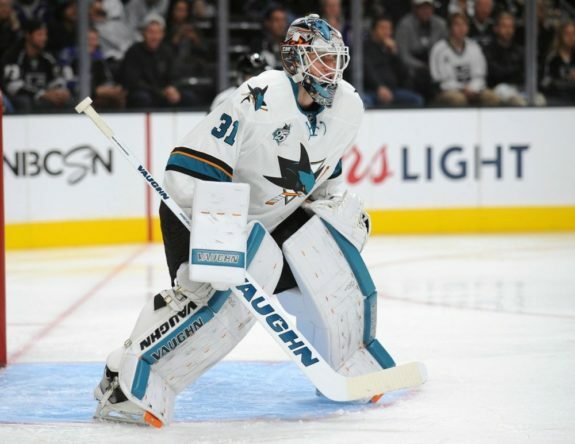 If the play of Martin Jones doesn’t improve, speculation by Paul Gackle of The Mercury News is that the Sharks may look to call up either Josef Korenar or Antoine Bibeau from the AHL. Gackle does suggest that the Sharks may look to a veteran available on the trade market and package Aaron Dell with something to acquire one of Jimmy Howard, Brian Elliott, Michal Neuvirth, Keith Kinkaid, or Petr Mrazek. Pierre LeBrun had a Tuesday morning radio hit on Vancouver’s TSN 1040 that he believes two teams to watch are the Los Angeles Kings and St. Louis Blues. LeBrun said one GM called the Blues’ Doug Armstrong “an alpha male” who won’t sit on his hands during this trade deadline. He may make changes for the sake of making changes because he’s so disappointed with the way the season turned out. “But I think the Blues are an absolute wildcard in terms of having a GM who’s unafraid to make change if he’s pissed off. So yeah, that’s a team that is worth monitoring,” LeBrun said. The most common names coming out of St. Louis are Patrick Maroon, Brayden Schenn, Vladimir Tarasenko, Colton Parayko, and Alex Pietrangelo.